For a while it seemed winter would be taking a holiday this year. We had temperatures during the day in the 80’s (26) and evening temps in the 60’s (15). However, winter is now beginning to settle in with the evenings dipping below freezing every now and then though a few plants remain defiant. I moved plants into the cottage for winter. This is a tedious time for them because of the lack of light and humidity. I mist them as much as I can, but I always end up with an aphid infestation and or spider mite at some point. By the time spring arrives all the plants look pathetic. Sigh. Before moving in the Ficus tree I had to prune it as it had grown quite large during the season. In fact I did not have it resting in a water tray which allowed it to grow roots out through the bottom of the pot and through the spacing between the paver down into the ground! This is a concern of mine because the tree really has outgrown the pot that it is in. If I planted it in a larger pot it will become too heavy to move. I am considering a massive pruning in the spring and a root trimming as well. Apparently, this is done to keep trees smaller and confined to pots, but it makes me nervous. I guess it is almost like a bonsai approach? I also pruned the citrus trees, but the lemon tree was problematic due to it having many lemons growing on the branches I would like to prune. Lemons, now? I don’t think there will be enough light for the lemons to grow and so I think I will need to remove them. If I end up doing this I will wait until spring to finish pruning the tree. Every year around this time I begin dreaming of having a conservatory. It is my hope to have one on the back of the cottage. I have been investigating conservatories and I found a couple options that are more reasonable, but still outside the realm of possibility at this time. I have begun to warm up to the idea of lean-to variety as it seems to be the least expensive way to go and perfect for the space where it would be attached to the cottage. The only drawback is the size. The models I have found would fill up tightly with the plants I bring in during the winter months and not leaving much room to move around. 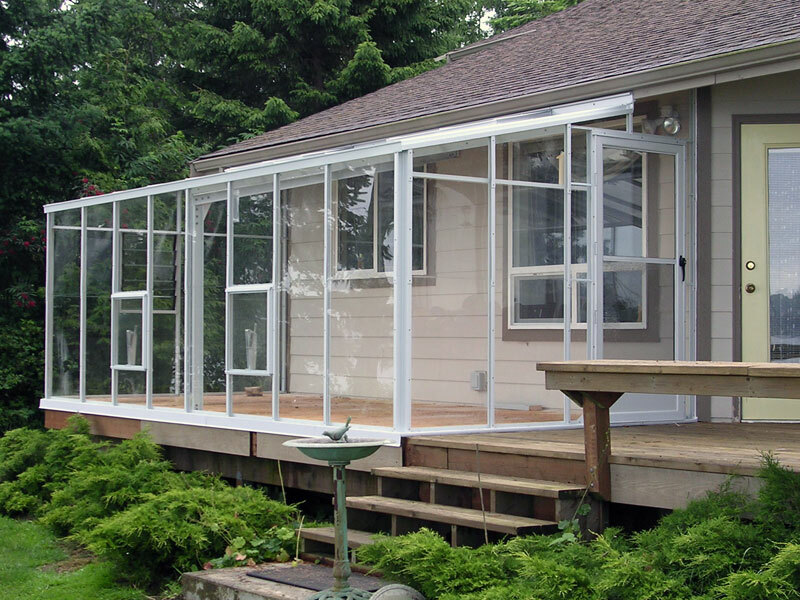 If I can have custom size made then I will probably go with this lean-to model because it would be much easier than converting a greenhouse to attach to the back of the cottage. This coming weekend a garden goal is to corral the banana trees! The musa basjoo banana trees are hardy to my region, but they will die back to the ground. If you can protect their pseudostems from freezing during the winter they may have new growth from the top of the pseudostems in spring thus giving you the height their known for. Last year I did not protect them so they had to start over, but this year the clump on the side of the house managed to get a good height and I don’t want to lose that. I intend on using chicken wire fencing and garden stakes to build a corral around the clump and then fill inside the corral with pine straw and leaves. Hopefully this will do the trick. 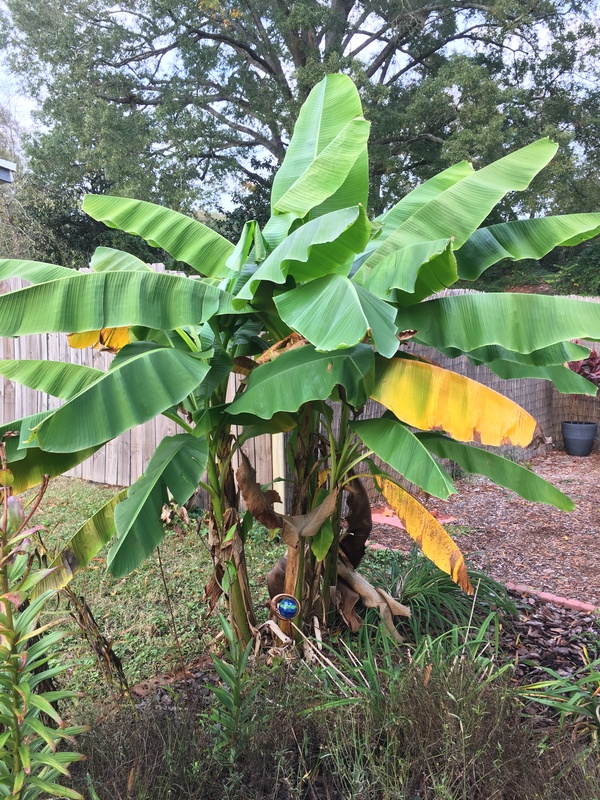 Banana trees in the side garden. Thanks! However, I have not wrapped up the banana’s as of yet and some very cold weather is on its way. Life gets in the way!